Paper plates crafts are easy to do and a great activity for a multi-age group. They are a favorite in our house for play dates or holidays because you can set out the materials and let the kids put them together independently. This black cat would be fun to make at a Halloween party! 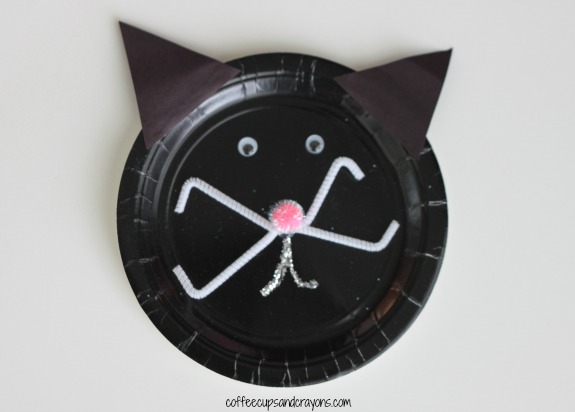 We used a black paper plate, construction paper, glitter, googly eyes, a pom and a pipe cleaner to make our cat but you can use whatever materials you have on hand. Felt, markers, yarn or whatever your kids like would work equally well. My kids love to play pretend so we added a popsicle stick to ours to turn it into a black cat mask/puppet. 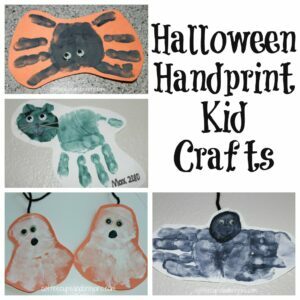 I love the simplicity of paper plate crafts! Cute! We got a little black kitten this summer. We’ll have to make this for sure. Adorable! 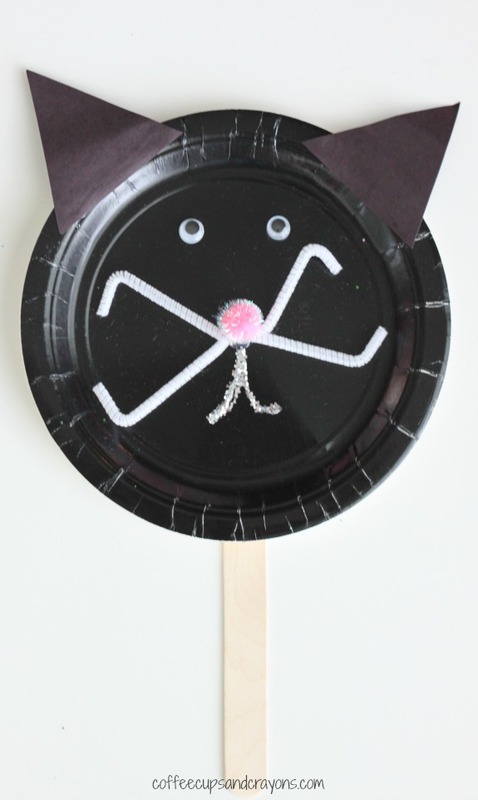 Your paper plate cat is a great craft and I love that you added the popsicle stick. 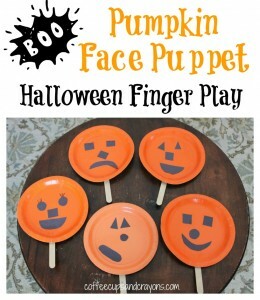 My boys would LOVE to play “puppets” with this! Thanks so much Deceptively Educational! It’s so much more fun to play with puppets you’ve made yourself!